We've already told you about John Hammond's monumental contributions to music; his drive to challenge racial boundaries and bring the worlds of jazz, blues and soul to white audiences. However, Hammond wasn't just an A&R with a social conscience, his passion also lay in championing the poetic qualities of the music and drawing attention to the astounding lyricism of artists such as Billie Holiday and Robert Johnson. You could certainly argue that the spirit of Hammond is still alive and well today, with many current artists inspired by musicians the great talent scout discovered. 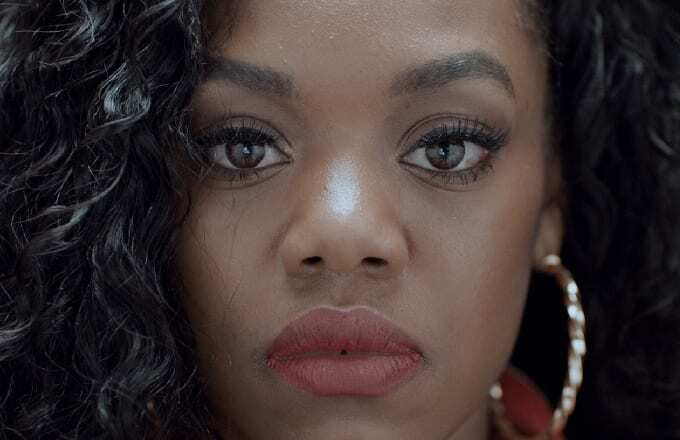 ​For the second part of Guinness' series exploring John Hammond's legacy, Lady Leshurr shares some of her insight into the connections between poetry and hip-hop. Though Leshurr's now famed for her quick-fire wisecracks and tongue-in-cheek delivery, her musical roots lie in poetry, an art form she explored from the age of 12, before even considering music as a career option. We've seen this before, however, in her rework of Chris Brown's "Look At Me Now" where the Brummie spitter challenged even Busta Rhymes' reputation for the fastest bars in rap. Her style was stamped all over the track but it was the sheer technical prowess that stood out as testament to her verbal agility.